Rutherglen Shiraz with grunt but not excess. Dark red with purple edges, this has a generous nose of berry fruit and cocoa powder oak. No shrinking violet. 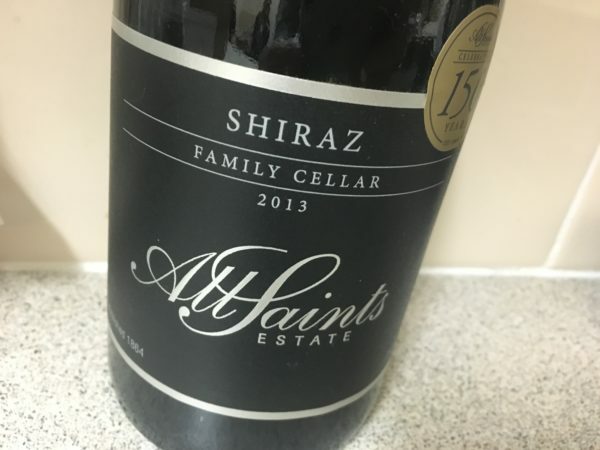 Palate has a bit of the Tahbilk-esque, red-earth-meets-red-berries character in a savoury style, the oak a chocolate powder overlay, the finish long and grainy. It’s still very tight, but deep and long underneath. High quality Rutherglen Shiraz, if just in need of time. Best drinking: 2016-2030. 17.7/20, 92/100+. 14.4%, $62. Would I buy it? Perhaps not, but I’d like a bottle of this in the cellar as it will live.